No so long ago we told you the rumors about the release of The Last of Us for PS4, which should take place this summer, and today we’d like to confirm this information and share other interesting The Last of Us news. Thus, recently lots of information about the upcoming The Last of Us for PS4, its pre-order bonuses and the first video have appeared on Playstation blog. But let’s talk about everything in order. First of all, we are hasten to tell you that the game’s version for the next-gen console from Sony is called The Last of Us Remastered, and it will be released this summer, sometime in June. The developers have announced that The Last of Us for PS4 will include not only a lot of improvements (the higher resolution, the better shadows and lighting, the upgraded textures), but also Left Behind DLC, Abandoned Territories map pack and Reclaimed Territories pack. The details of the last add-on will appear a bit later. Besides it, the developers have shared the information about The Last of Us Remastered pre-order bonuses. You will be able to get such nice surprises as 100 XP in Factions mode, 2 news skins for Joel and Ellie and also the increased crafting, healing and reload speeds, as well as the upgraded rifle clip capacity. And the last thing that we would like to show you today is the first The Last of Us Remastered trailer. Although this video is mostly praises the original game, but also here you can watch some moments of the upcoming project’s version, so we suggest you taking 1.5 minutes of your time and watch the first The Last of Us Remastered trailer. What do you think about these The Last of Us news? Are you waiting for the game’s version for PS4? 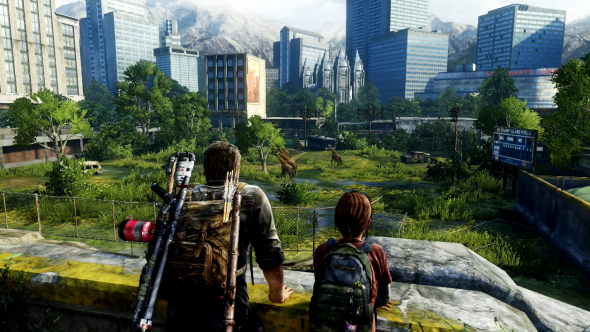 Did you like The Last of Us Remastered trailer? Your answers are always welcomed at the bottom of the page.